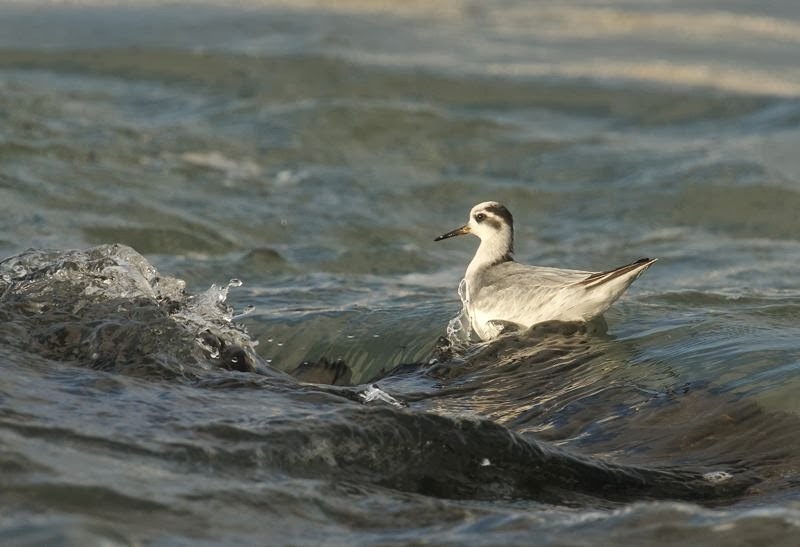 I saw this Grey Phalarope several days ago and managed to get a couple of shots but I was always fighting the light. I decided to go again today at low tide when more exposed rocks enabled better views. My idea was to try and get round the side of the bird with the sun at best over my shoulder. I eventually found a rock which enabled me to get the desired shot (and a good soaking in the process). I've got several other reasonable shots but this one was one of my faves. That really is a great shot!